After 60 years, the stylish retro Duo Cart is being brought back by Aurora. These elegant pens raised several generations and remain one of the recognizable designs of an era. The beautiful duo is reminiscent of the distilled Italian high fashion that dominated the world in the 1960s. These pens are designed to compliment each other and compose one complete piece of memorabilia. The two represent the most popular color schemes of the era; a warm wooden brown reminiscent of fine leather and aged liquor, and a professional silver and black that means business. 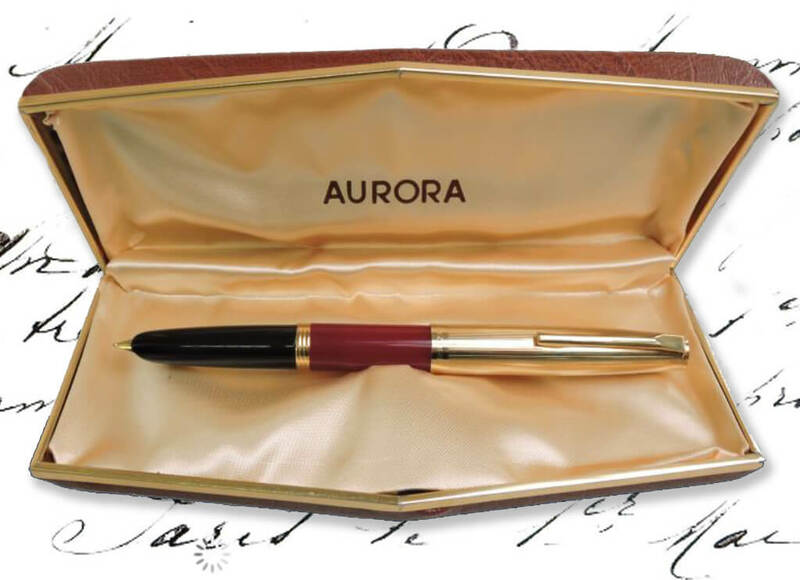 Each pen comes in a beautifully ornate satin lined case made to accompany the pens on your desk or on your cabinet. These cases are produced with sharp lines reminiscent of the beautiful automobiles that drove the wide streets, laid after decades of reconstruction from the turmoil of the early century. This style represents freedom, opportunity, and the future that we live in now. 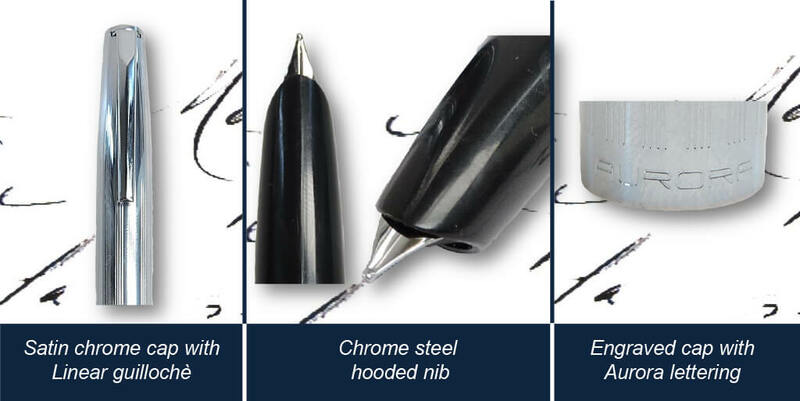 Iconic features of these pens appear in the cap, nib, and engraving. The cap is beautiful shiny chrome or gold polished to accent any fashion choice and loudly proclaim its presence. It is engraved with long parallel lines running down the gently tapered shape and the font on the cap is a reproduction of the style popular in that decade. 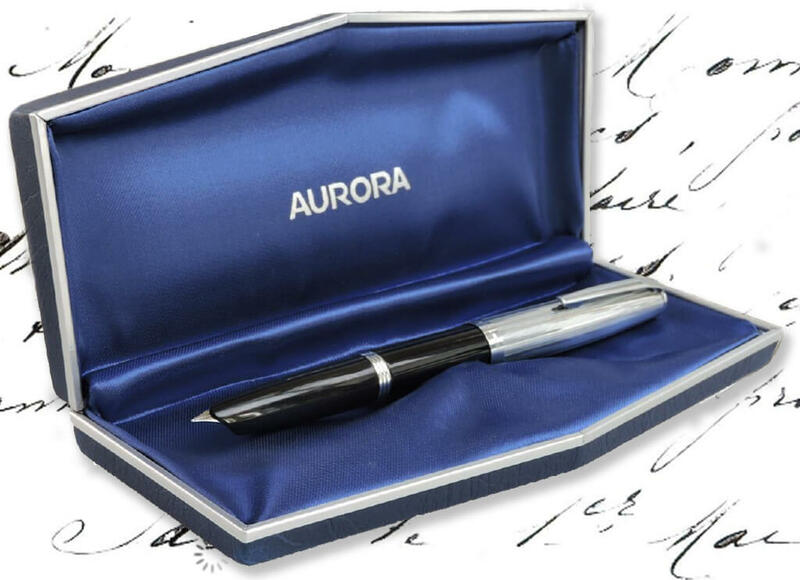 Finally, the ultimate component is the Aurora hooded stainless steel nib, praised then and praised now for its ability to write smooth long lines to show off your beautiful handwriting. True masterpieces then, and amazing memorabilia now.